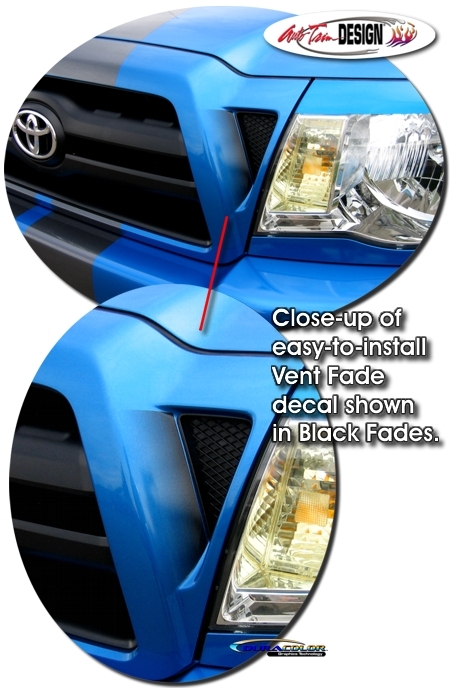 Highlight & enhance your '05-Current Toyota Tacoma's Grille Vent areas with these unique Fade decals. Available in one (1) of three (3) fade colors, our kit is provided with one (1) decal for each Grille Vent area. Decals are precut and very easy to install. This kit will fit any '05-Current Toyota Tacoma's factory Grille Vent areas as shown in image. General online application and care instructions are included.